Emilia Clarke is getting ready for the final season of the Game of Thrones and yesterday evening(May 29th) she attended the 2018 Lincoln Center's American Songbook Gala at the Alice Tully Hall in New York City. 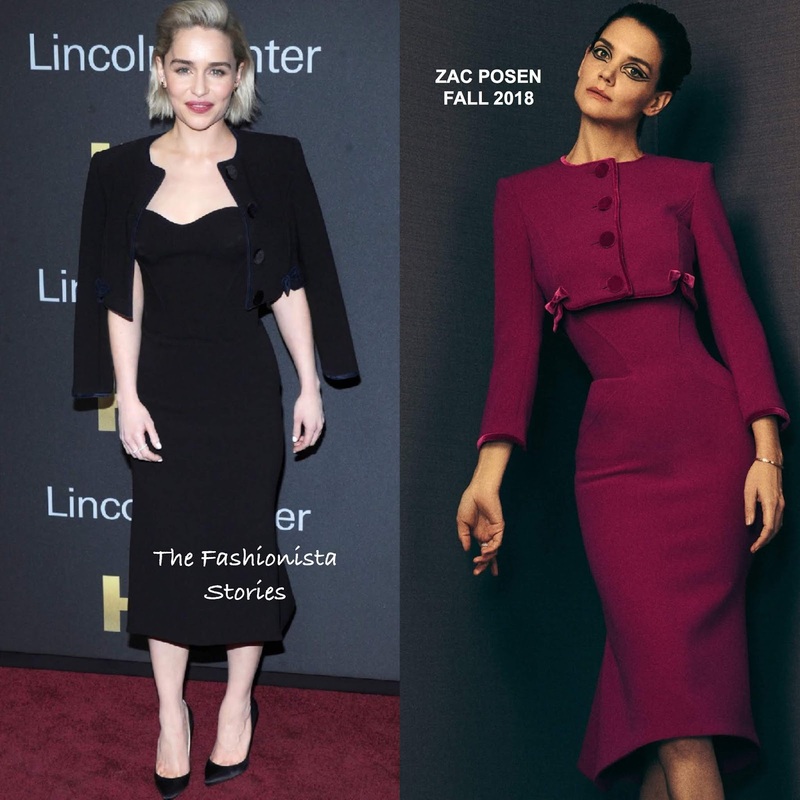 Working an all black look, she wore a ZAC POSEN FALL 2018 black crop bonded crepe jacket with contrasting black velvet buttons & blue velvet bows and trimmings and the a black strapless dress with a sweetheart neckline, a corset bodice, and pleating at the back hem. While I do prefer the magenta hue featured in the look book, the black works in Emilia's favor. The shoes are a snooze but she looks great otherwise. Pulled back straight locks and pinks lips finished up her look.